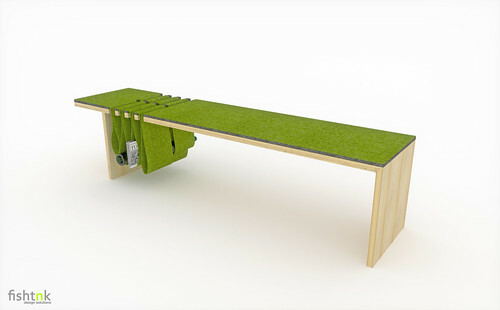 Double-Dip Bench is a unique bench and storage designed by Fishtnk. The frame is made with Birch ply-wood and the felt cushion weaves itself through the frame to create an adjustable storage component suspended from the structure. The Double-Dip Bench is hand-made at Fishtnk’s Parkdale studio, Toronto. The cushion is made with 100% carbonized high grade wool [felt] and is available in customizable colors. There is also a limited edition leather cushion available, contact for more information. Contact us at sales@fishtnk.com to order.